Boy I love these instant Japanese drip coffees!! This entry was posted in お母さんへ For moms, 飲みもの Drink, 日本のこと About Japan, 便利グッズ This is awesome! 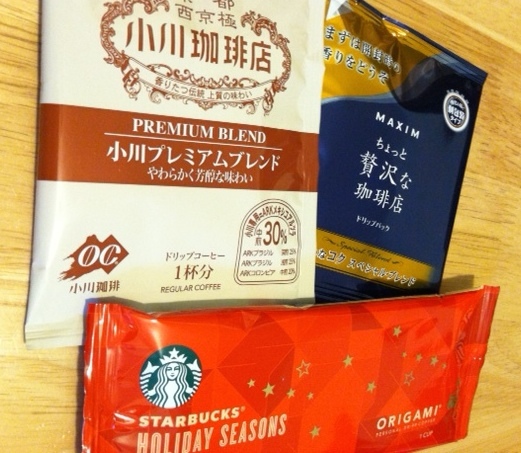 and tagged instant coffee, Japan, Origami, Starbucks. Bookmark the permalink.